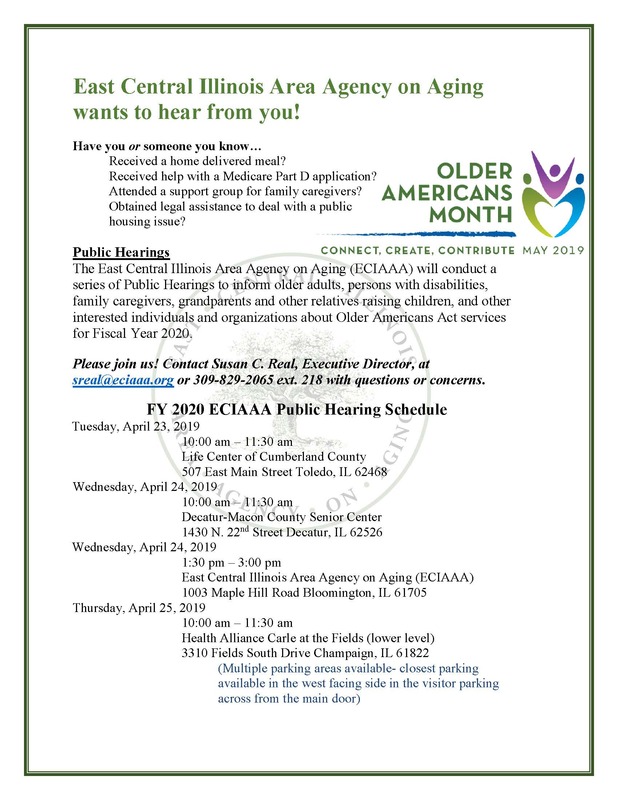 The East Central Illinois Area Agency on Aging is conducting a series of Public Hearings to inform older adults, persons with disabilities, family caregivers, grandparents and other relatives raising children, and other interested individuals and organizations about Older Americans Act services for Fiscal Year 2020. 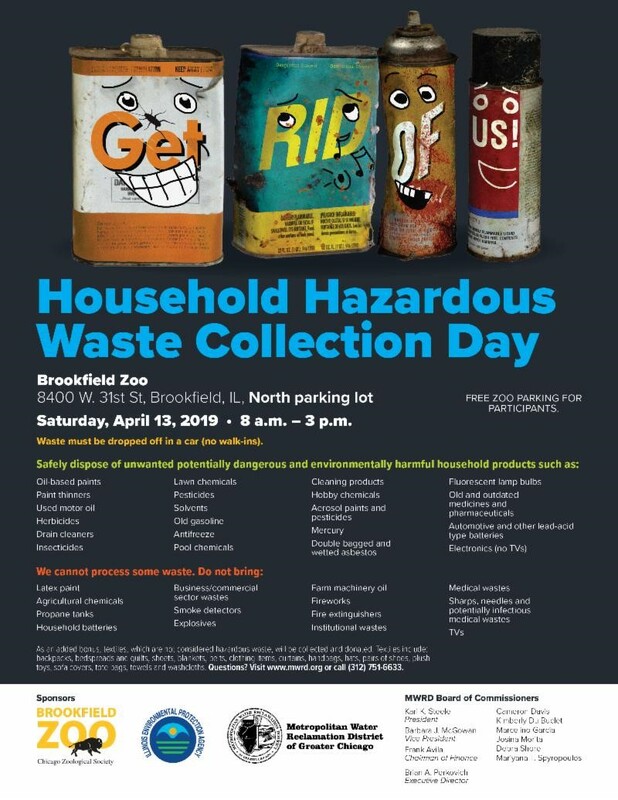 Dispose of your household hazardous waste in an environmentally-friendly manner this Saturday, April 13, from 8 a.m. to 3 p.m. at the Brookfield Zoo, North Parking Lot, 8400 W. 31st St. in Brookfield. 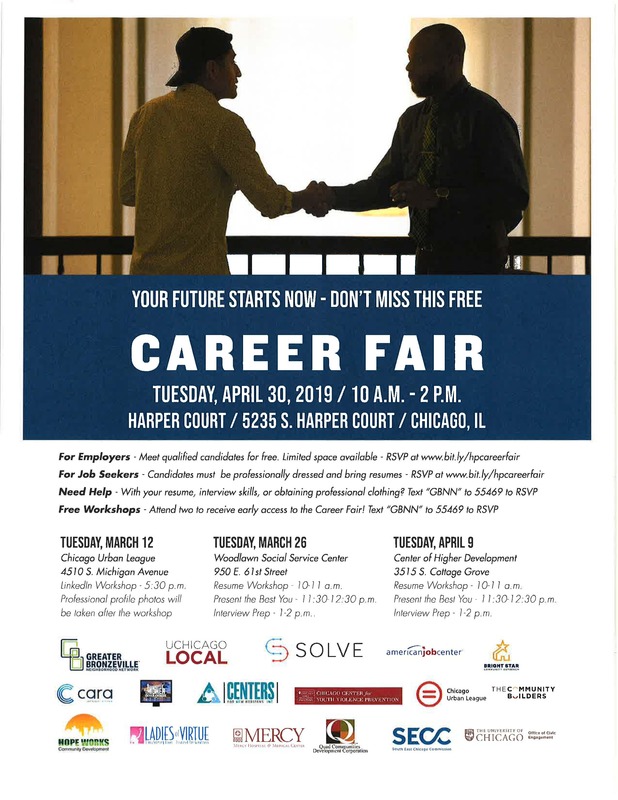 There will be a Career Fair at Harped Court located at 5235 S. Harper Court, Chicago on Tuesday, April 30 from 10a.m. 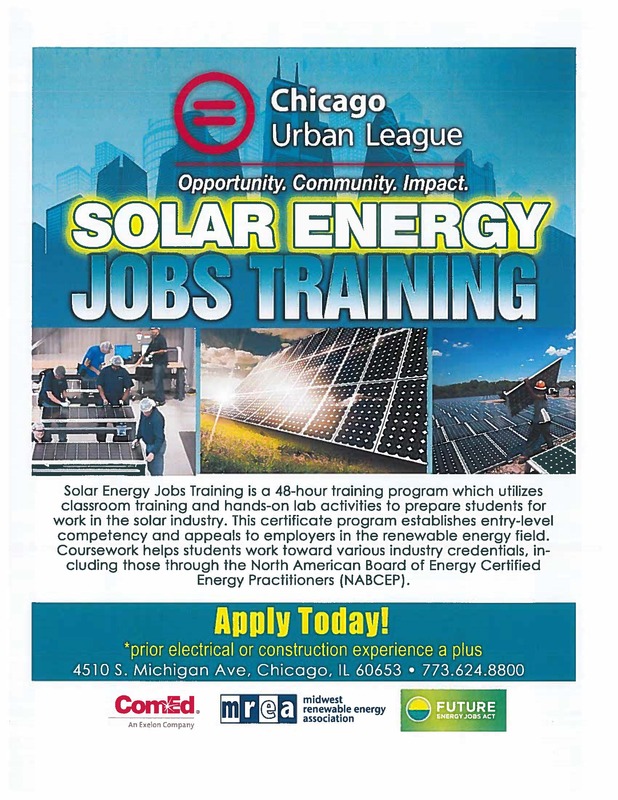 to 2 p.m. 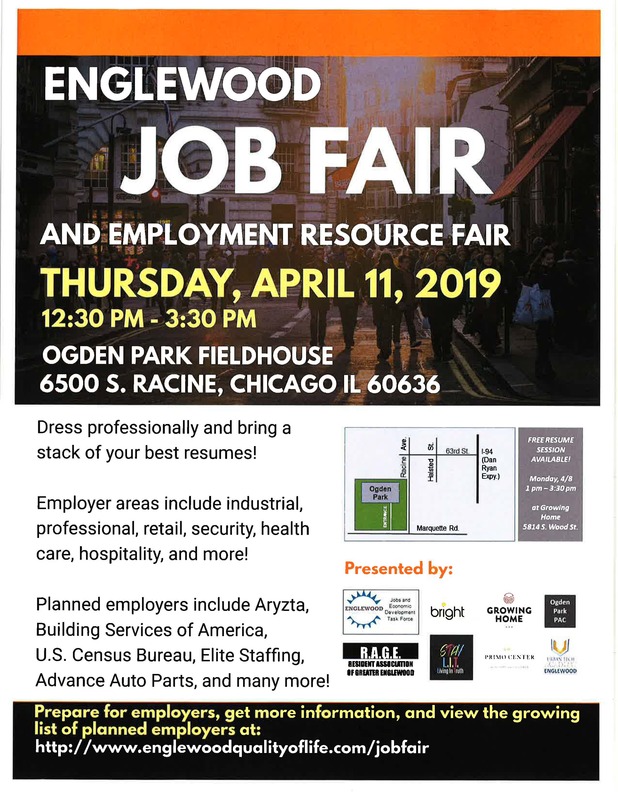 The Englewood Jaob Fair and Emplyment Resource Fair is Thursday, April 11 at the Ogden Park Fieldhouse at 6500 S. Racine Chicago, IL 60636.